Looney Labs has provided me with these games in exchange for an honest review. 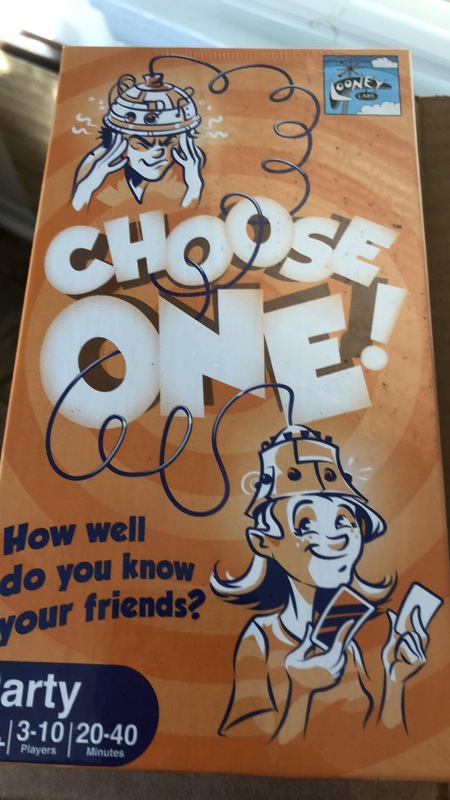 They are all very fun games and would be perfect for family game night. This is Time Breaker. 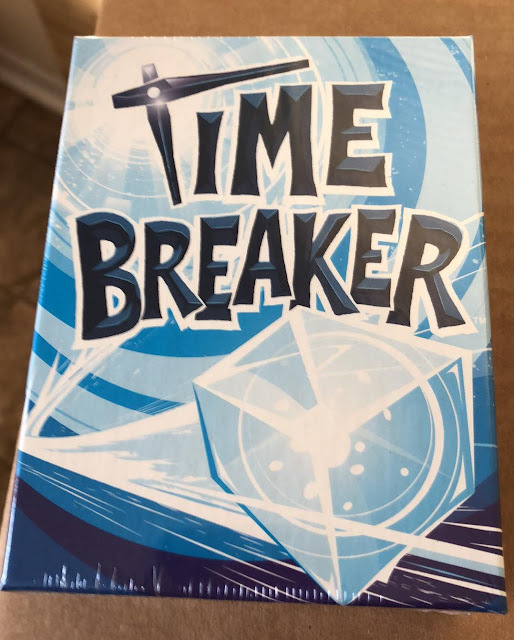 With this card game you get to chase a Chrono-Criminal across time. The Time Breaker is jumping from on time tile to another reaping havoc everywhere he goes. You must capture him and return with him to Time Repair HQ before your opponents catch up or the Time Breaker slips aways. This is a 2-5 player game recommended for ages 8-Adult. The manufacturers retial price is $25 and you can purchase it HERE . 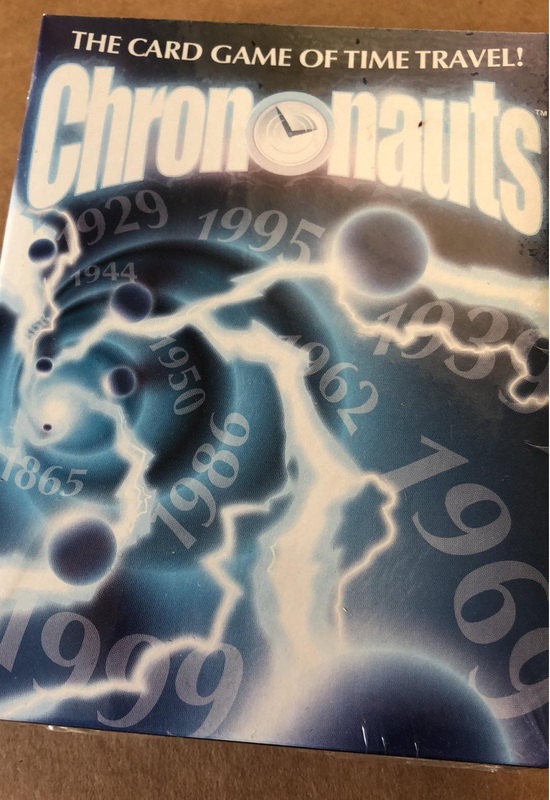 And finally we have Chrononauts. 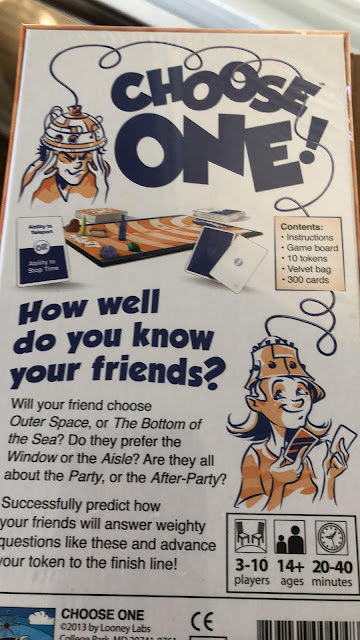 This is a card game for 1-6 players age 11-adult. In this game you are a Time Traveler with a secret mission, secret identity and an assignment to fix time paradoxes. You need to gather the rare artifacts listed on your mission card. 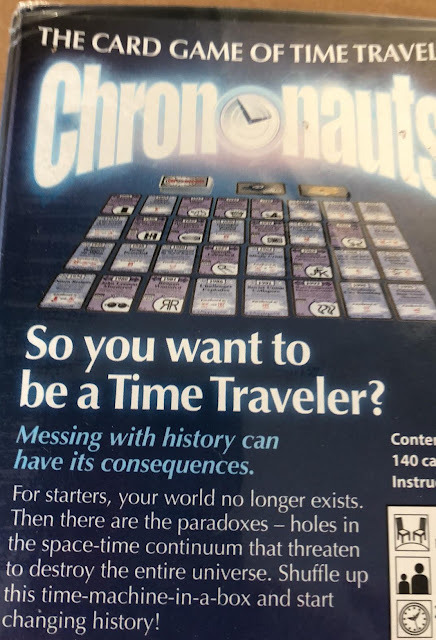 Or you can adjust history in the three ways needed for you to return to the alternate reality from which you originally came. The changes in history are tracked by a layout of 32 cards called the TimeLine. This is a fast paced, fun game. The manufaturer retail price is $20 and you can purchase it HERE.